Custom Seamless Gutters are the best gutter solution for any house, especially larger dwellings that would normally have multiple parts pieced together making leaks and breaks inevitable. Stratton Home Improvement and Repair only uses high quality metal and heavy duty hanger brackets. The competition generally uses lighter flimsy metal and cheaper brackets which just don’t last in the heaviest of rain flows, storms, and wind. 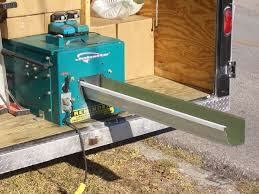 We specialize in installing 5 and 6 inch seamless gutter systems for both residential homes and commercial buildings. You can customize your color to either match or accent your home or business. 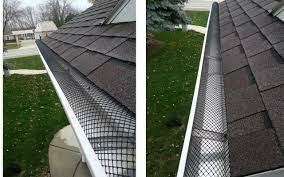 We offer high quality gutter protection systems like, leaf guards, snow and ice guards, and also snow retention systems. 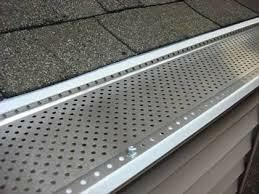 We can also provide gutter repairs to your existing gutter system if a new system is not in your budget.